Ranveer Singh plays the loathsome Alauddin Khilji in Sanjay Leela Bhansali's "Padmaavat", which opened in theatres on January 25. 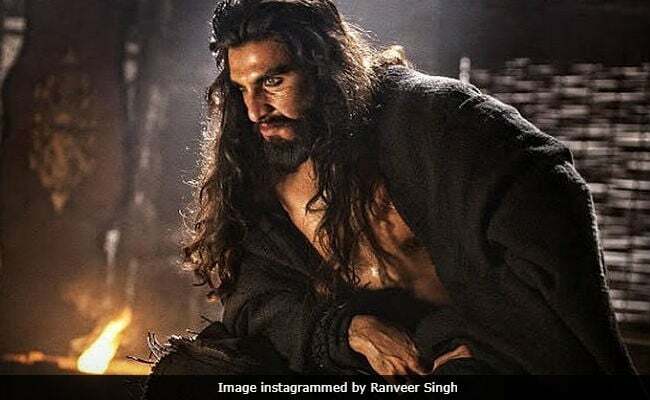 The actor told news agency IANS that taking up Khilji's role in "Padmaavat" was a "gamble," which has now "paid off." He 32-year-old actor said: "When I was offered "Padmaavat", most people were of the opinion that a hero should not play the anti-hero. But I believed otherwise. I saw Khilji as a challenge for me, as an actor. And I wanted to take the challenge up. I went with the vision of Sanjay Leela Bhansali and my instinct of what I could achieve with Khilji." Critics and celebs who've watched Padmaavat have praised Ranveer Singh's performance and the Internet thinks that Ranveer just sweep all awards for his performance too. "I took a big risk with this character and it's wonderful to see my gamble pay off. This kind of validation gives one the confidence to take bigger and bigger risks, challenge stereotypes and continue to push the envelope in the realm of mainstream Hindi cinema. I feel very happy and very fulfilled today." "Padmaavat", which also stars Deepika Padukone and Shahid Kapoor, has collected Rs 18 crore on opening day and trade analysts have predicted strong box office performance over the weekend. The opened amid angry protests from Rajput Karni Sena, who alleged that the film misrepresents history and taints the image of Rani Padmini of Chittor. "Padmaavat" is based on 16th century poet Malik Muhammad Jayasi's Padmavat, which narrates how Rani Padmini and sevral Rajput women performed jauhar when Alauddin Khilji invaded the fort of Chittor in 1301.